On the border between New Osney and old Osney there’s a bridge where herons happily snap up fish. But people using the multitude of smart bikes that are now available all over Oxford don’t seem to want to park them, er, responsibly. You know I’ve been on about the corridor at the bottom of my magic garden, yeah? You know, the prefabricated Austrian sections and the like. I had to go to the Royal Mail depot today on Oxpens Road – to do that you need to cross the railway lines on a really really ugly footbridge. Network Rail has told us this bridge will have to go because when it electrifies the railway next year, the footbridge won’t be high enough. Here’s a view from the current footbridge of the works going on. My garden is two to the left of the cherry blossom. It’s already a footbridge too far at night time – there’s no lights and it’s difficult to see the steps in the dark. Network Rail is taking representations although us residents won’t really have a say, as far as I can tell. Next Tuesday 11th March Network Rail are having an internal meeting to co-ordinate the various projects in and around Oxford City. As a representative of The GWMLe programme, I will be attending. The premise is to ensure a holistic approach is progressed with on a practical manner. 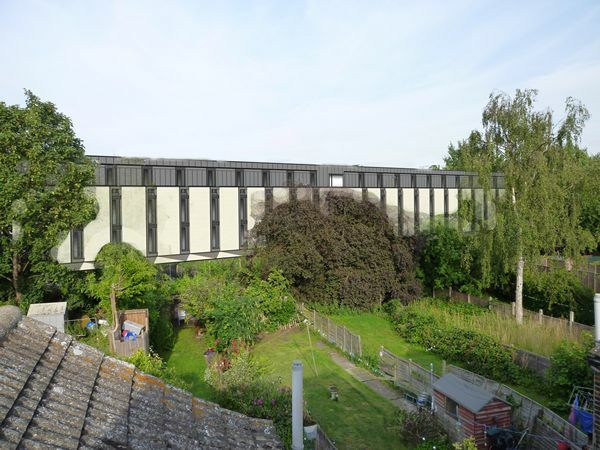 DCL 62.49 Osney Lane is on the agenda to debate and ensure synergy is identified between each of the separate projects. While the project manager has to work to his time table which programmes in a ‘slot’ in the summer. If due process (consultation and planning submission) is disrupted, then that date will slip. As soon as the meeting next week has identified who the lead engagement officers are from NR, I will let Yim know. The get in contact with Oxford City, and request an urgent meeting to run through the issues. You will be in the first tranche of consultee’s engaged with. 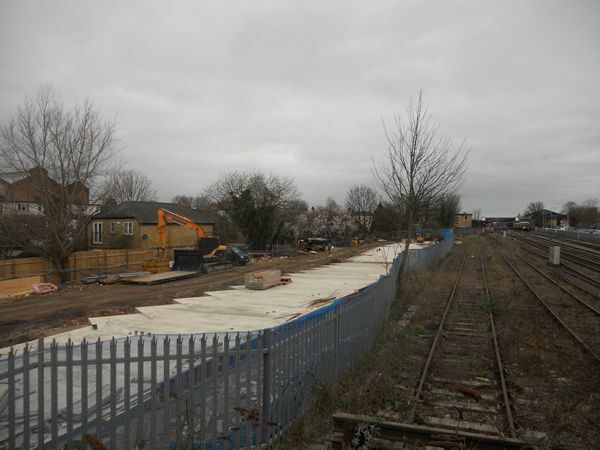 Jason Thacker, site manager of the “Osney Lane Development”, otherwise known as the Wall, has sent us a missive about the shape of things to come. Jason works for Exel Construction Ltd – motto: “Building a future”. In March, the ground works will be finished, scaffolding starts on the 24th, and manufactured building assembly will start at the end of the month. Prefabbed stuff then. We’ll bring you pictures when the Wall begins to loom over the back garden.